The head of a government that has the most sophisticated spying apparatus ever created can monitor who we talk to, what we talk about, how many twinkies our kids eat and the calories we consume, where we travel, etc. etc., yet announces our President’s daily Intelligence report is actually prepared by Matt Drudge. Hmmm. Perhaps the NSA should take out ads in the sports section to assure the President reads his morning Intelligence briefing. Here’s a quick video of our Community Organizer-in-Chief explaining his lack of knowledge of the nation’s major scandals, using his favorite convenient excuse and perhaps also saying much about his management skills with a dysfunctional, disinterested staff. What do you think? This video montage shows the Obama Administration claiming they knew nothing about scandals such as Fast and Furious and the Internal Revenue Service targeting until they were leaked by news outlets. Congratulations to the recent victorious primary election campaigns. We trust you’re rested up because America needs you to put shoulder to the grindstone as time marches toward this fall’s general election. Our nation’s future depends on a conservative agenda that lets freedom flourish and industry thrive with American workers again. We need a united front to combat the egregious agenda under which our economy, security, and freedoms now suffer. It’s only by banding together to push conservatives across the finish line that America can recover. How to do it? Focus. Keep your eye on the ball. Remember the real threat to our country’s solvency and sovereignty is the liberal pro-Obama candidates we’ll face this fall. Many more primary races are underway. Constitutional conservatives will be the ones to adhere to the blueprint our Founders created for us to follow towards a more perfect union. Please support them. 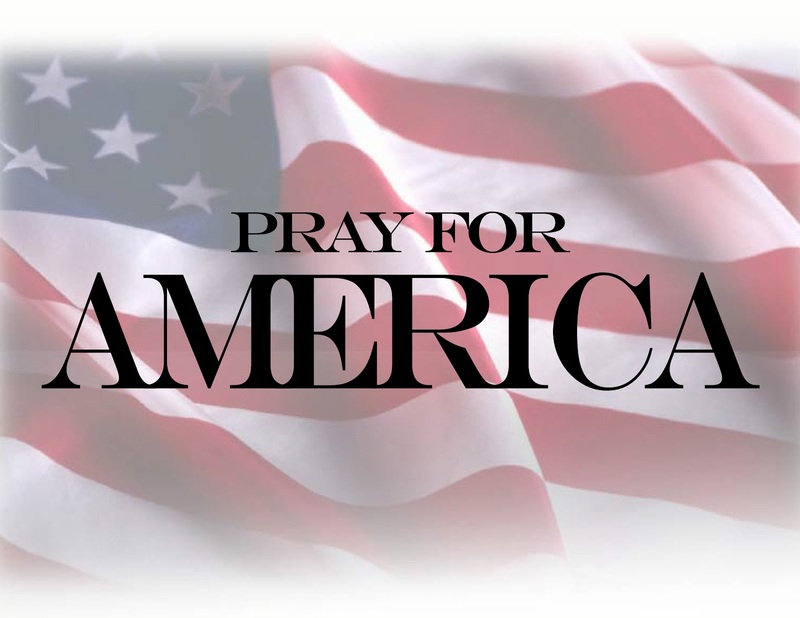 United we’ll stand for the exceptional nation America is destined to be again. Divided we’ll fall under continued failed liberal policies. Georgia is ready to come through for the sake of liberty and help restore American exceptionalism! Tomorrow, Republicans in Georgia have the opportunity to send a strong message to Washington by voting for Karen Handel for U.S. Senate. Conservatives across Georgia are rallying behind Karen’s campaign. There is a reason the good old boys are ganging up on Karen – she threatens their status quo. They know that she will shake it up in Washington. Change scares them, and that is why they’ve tossed everything including the kitchen sink her way. In Washington she will bring positive conservative change just like she did in Georgia, and she won’t be afraid to call them like she sees them. This year’s elections are about who we send to Washington to help restore our country after six years of a disastrous administration. It’s not about who has the best rhetoric, the loudest voice, or the best TV ads. It’s about who we trust to keep their word to fight for conservative principles and grow the conservative movement at the same time. Voters need to look carefully at a candidate’s record. Look beyond the flashy campaign ads of establishment candidates and the bombastic rhetoric of candidates who claim to be the most conservative in the race. Karen has walked the walk when it comes to cutting government waste, providing ethical leadership, and fighting back against big bullying government. We can count on Karen to take her real life skills to Washington to help balance our budget, fight for lower taxes, and do everything she can to keep the government out of our lives. GOP voters in the gorgeous Peach State have many choices if they want something said, but Karen Handel is the only choice if we want something done. Karen will get the job done. Thoughtful and caring Georgians, please get out and vote tomorrow. The stakes for our country’s future have never been higher. Consider giving Karen Handel your support in this critical Senate race tomorrow! Trust me, you won’t regret it. Please turnout and vote for Karen Handel for U.S. Senate tomorrow! 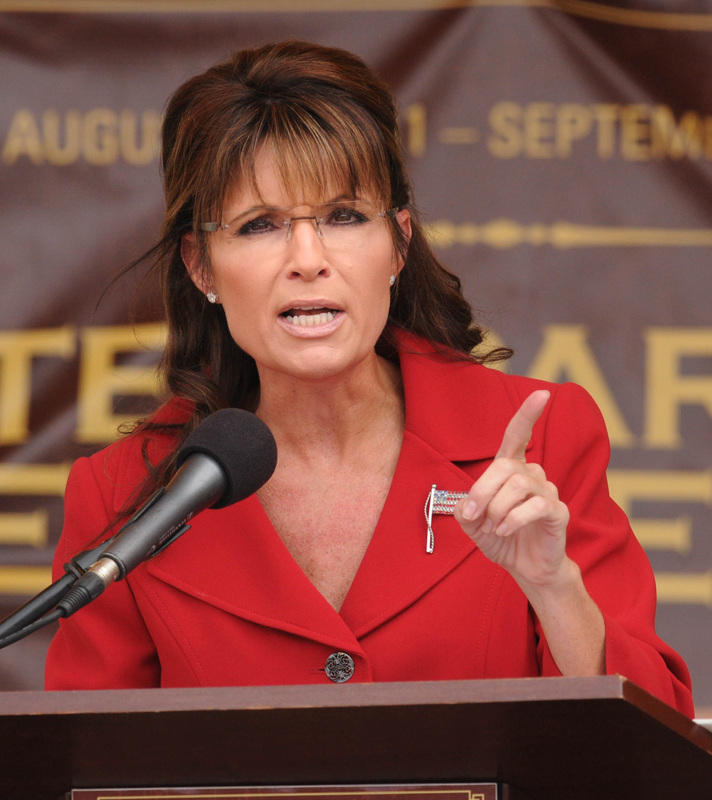 Palin: So, are you still relying on Obamacare to help and not hurt you? Let’s take a stroll down “death panel” memory lane. Here are just a few excerpts for you to draw your own conclusions. Obama repeatedly warned America: http://youtu.be/Kvg8qVKZYuM. So, media, your average Joe Six Pack American (i.e. me) caught those warnings, and YOU didn’t? Riiight. I love this American Awakening when finally more voters can’t say they weren’t warned. Stamped with the media’s “Lie of the Year”, I had the sticky label on my back for years used as convenient “proof” that commonsense conservatives just don’t know what we’re talking about. Denouncing from the Orwellian Left and a squishy Right ensued. But the truth stares us in the face and pocketbook, especially as we see the unworkable Obamacare. What happens next is the Left will subtly suggest moving America toward a single-payer system, which was their intention all along. Watch for this gradual, but driving, descent into statism. So, are you still relying on Obamacare to help and not hurt you? On the Democrat’s watch, health care in the hands of unaccountable bureaucrats proves Reagan’s adage that government is not the solution; government is the problem. And speaking of the VA scandal, we’ve seen how Obama merely gives lip service to his bureaucrats “investigating” his bureaucracy, so don’t be surprised if he finds nothing wrong in the government’s VA health system – “NOT EVEN A SMIDGEN”! 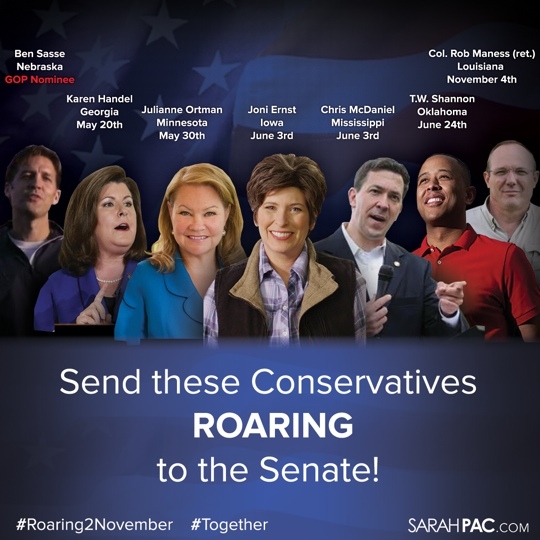 SarahPAC: Send these Conservatives ROARING to the Senate! NEW VIDEO – Roaring To November! All of these candidates are underdogs – not one lead in the polls when Governor Palin endorsed them. Her endorsement caused many in D.C. to dismiss their chances and the power we all have when we come together. Thanks to you – the grassroots – their campaigns have been dramatically turning around! 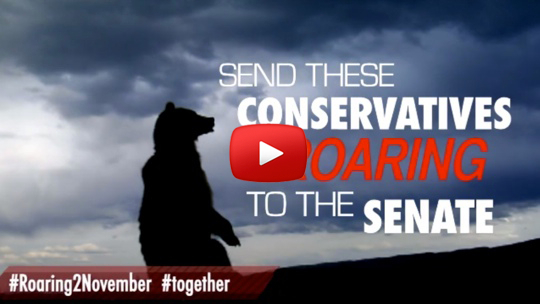 It’s time we send these conservatives roaring to the Senate! You can help us by watching our new video and chipping in with a donation today. Ben Sasse (Nebraska) – has been called “Obamacare’s Nebraska Nemesis” by The National Review. On Tuesday night, Ben won the Republican nomination for U.S. Senate in Nebraska! We’re excited to support him the rest of the way to Washington D.C.
Karen Handel (Georgia) – is running for the U.S. Senate in Georgia and she’s eager to shake up the status quo in D.C. Karen’s primary is next Tuesday, May 20th! Julianne Ortman (Minnesota) – is running to replace liberal Minnesota Senator Al Franken as a conservative champion. Julianne’s nominating convention is right around the corner on May 30th. Joni Ernst (Iowa) – has been a champion for life, small government, and lower taxes. Joni is gaining momentum ahead of her June 3rd Primary in Iowa! She’s a pistol packing, Harley riding, Mama Grizzly – she’ll make the big spenders in D.C. squeal. Chris McDaniel (Mississippi) – has a proven record of fighting for the critical principles of limited government and free enterprise. Chris is about to face his Mississippi primary on June 3rd. His opponent has been in Washington for over 42 years! T.W. Shannon (Oklahoma) – was the first Republican to ever win his district’s seat in the state legislature. He is an important voice for the next generation of our movement, with the conservative record & results as Speaker of the Oklahoma House to back it up. Always up for a fight, T.W. is preparing for his June 24th Primary. Colonel Rob Maness (ret.) (Louisiana) – fought for 32 years in uniform. He is a warrior who will protect our Second Amendment rights and work to defund Obamacare. Rob is running in Louisiana’s Jungle Primary on November 4th. He’s tough enough to take on the career politicians – and the alligators. We have warriors in the U.S. Senate who need reinforcements: Senator Cruz, Senator Lee, and Senator Fischer are battling tirelessly and these candidates will stand on principal with them. We’re in a crucial race to retake a conservative majority in the U.S. Senate and these candidates need our help today. 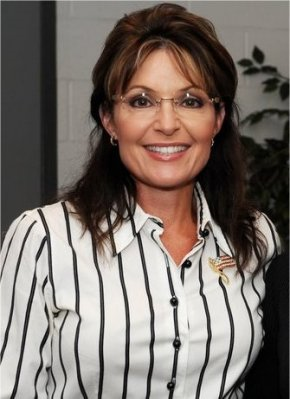 In 2014, Governor Palin has done exactly what she said and found candidates that we can all stand behind. She has already travelled all over to help support them in this cycle. It’s time we send these conservatives roaring to the Senate. Help us today! Excellent video! Posted on the SarahPalinAK YouTube channel this morning. Gov. Palin: Nebraska, Vote for Ben Sasse and Pete Ricketts Today! Hello, Nebraska! The choice tomorrow in the #negov race is clear – more politics as usual or new growth resulting from successful conservative action! All over America hard workers realize the status quo has got to go. Please elect new energy for your spectacular state! Pete Ricketts has my support because he’s a man of good character and intelligence with such admirable commitment to Nebraskans. Pete will bring real world solutions, strong business acumen, and a passion for all corners of the Cornhusker state with him to serve you in Lincoln. He will be a great governor as Nebraska shows the rest of the country how commonsense conservatism WORKS to empower the people as it lifts everyone up! Please vote tomorrow – Tuesday, May 13th – and encourage others to also vote for Pete Ricketts for Governor! Ben Sasse is the sharpest, most energetic and prepared candidate in this extremely important race. Ben provides THE conservative voice with sensible, successful ideas in the #nesen race. It’s so admirable that this good man has run a positive campaign. How refreshing that he’s not running against anyone, but running for something – and it’s the “thing” Nebraska and all of America needs and deserves! Ben is the worthy candidate with solid conservative principles forming his platform to defend you, the good people of Nebraska. He’s got the guts and the smarts to take back power from Washington and restore it to We the People. Please get friends, family, and all concerned voters to join you tomorrow, May 13th, to send Ben Sasse to serve our exceptional nation as your next U.S. 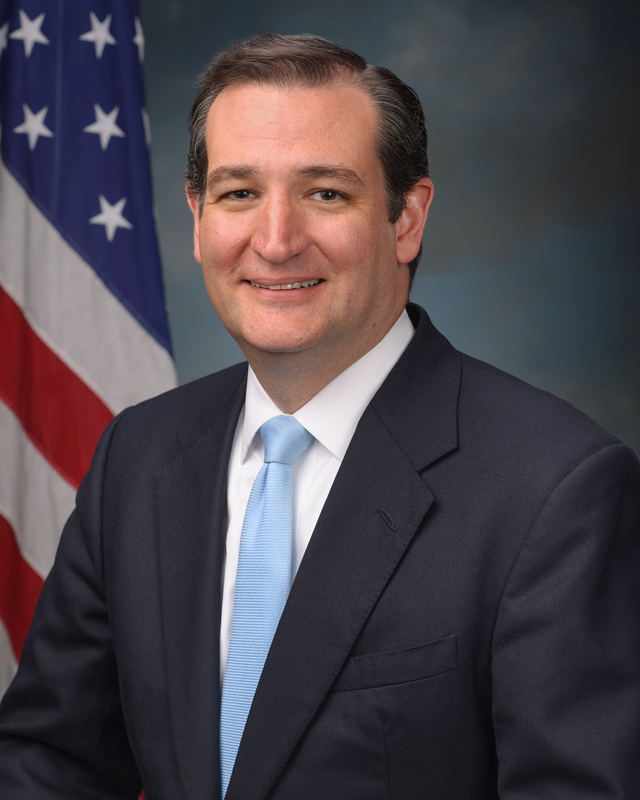 Senator! America will be so grateful. Ben will be a leader in the fight against ObamaCare from Day One. He has read the entire ObamaCare bill, and he has a plan to stop it.We need more conservatives who will defend the Constitution the way that Ben Sasse will. Sen. Mike Lee and I urgently need reinforcements like Ben in the Senate.Would you please read the below email from Ben and share it with friends? With only one day to go until Election Day, I strongly encourage you to support Ben. Because the DC Lobbyist Establishment is 100% determined to stop me. And I can’t survive their onslaught without you by my side. 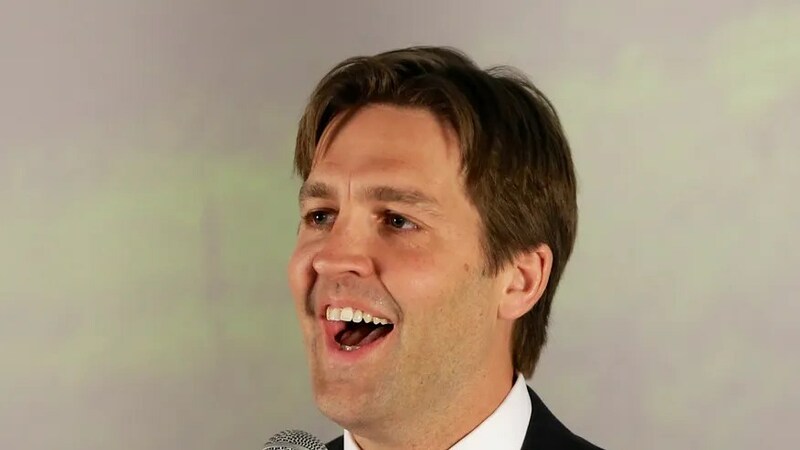 My name is Ben Sasse and my U.S. Senate primary in Nebraska tomorrow is the most important race in the nation bar none. The truth is simple. Right now there’s a war raging for the heart and soul of the Republican Party. On one side stand conservatives like Ted Cruz and Mike Lee who refuse to sit back while Obama “fundamentally transforms” America. Cruz and Lee know the country is at stake — and they want to go on offense and fight for it. On the other side stands the “Old Guard” Washington Establishment. They are raising big bucks for my opponent, and will do anything necessary to make sure they stop our campaign before May 13. My primary contest may well determine who runs the Republican Party: Conservatives or the Washington Establishment. It’s why the Washington Post is running a story with the headline “Why Nebraska is a make-or-break Senate race for the tea party”.I am most certainly not preferred choice of the Permanent Political Class in DC. I’m going to Washington to fight for our conservative principles. And that’s why Ted Cruz, Mike Lee, Sarah Palin, and Tom Coburn are supporting me. But even more threatening, my opponent is raising a flood of cash from Washington, DC lobbyists who mostly care about making money off Government for their clients. This is a direct threat to the conservative values you and I hold. Let’s understand something important: the problem in DC is not only that the Democrats are in charge. The problem is also that we have too many Republicans who think Big Government is OK and just wish they were in charge. I do not believe in that. I believe that Republicans must be the Party that stands up for liberty and against Big Government and the Special Interests that leech off of it. The DC Lobbyist Establishment is funneling money to my opponent as fast as they can. And I can’t turn on a television or a radio without hearing some dishonest attack ad smearing my name. I need the help of conservative leaders like you to fight these attacks. With one day left, I need to make an emergency media buy of $67,382 and I need your help to raise it. Too many Republicans go to DC because they want to be in the “Senate Club” and have fancy dinners with lobbyists. That’s not me. I’m going to Washington to fight for conservatives. And today I need you to stand with me and win this primary. 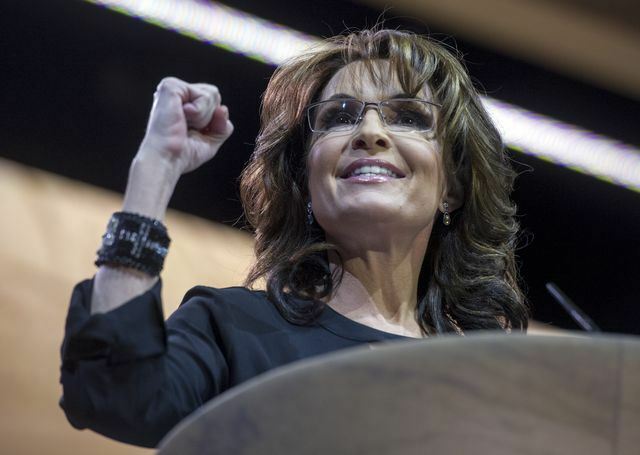 Ted Cruz, Mike Lee, Sarah Palin, and Tom Coburn are in. One day left and I need $67,382 for my emergency media buy. Please help me right now. Federal law requires us to use our best efforts to collect and report the name, mailing address, occupation and name of employer for each individual whose contributions exceed $200 in an election cycle. Contributions from foreign nationals and corporations are prohibited. Paid for by Ben Sasse for U.S. Senate, Inc.